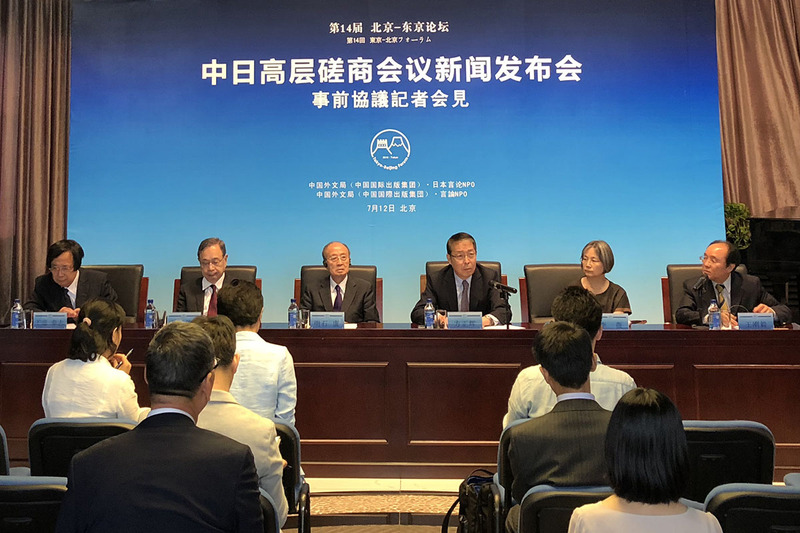 The 14th Beijing-Tokyo Forum is set to commence in Tokyo in mid-October, according to representatives from the co-sponsors, China International Publishing Group (CIPG) and the Japanese nonprofit think tank Genron NPO, who held a press conference on July 12 after a high-level meeting. This year marks the 40th anniversary of the signing of the China-Japan Treaty of Peace and Friendship. The forum is expected to breathe new air into China-Japan ties, promoting practical cooperation and fostering healthy and stable long-term bilateral relations. As the world undergoes dramatic changes, it has become critical to advocate for equal cooperation and mutual benefits, defend multilateralism, protect free trade and oppose unilateralism and trade protectionism, according to the forum hosts. The forum will focus on mutual trust, cooperation, peace and common development by presenting panel discussions on politics and diplomacy, commerce and trade, security, media and special issues. CIPG and Genron NPO also plan to conduct polls on China-Japan relations in the two countries and publish a relevant report ahead of the forum. The 13th Beijing-Tokyo Forum was held in Beijing last December and attended by more than 500 experts, former officials and other representatives from China and Japan. The forum, held alternately in the two capitals since 2005, aims to improve bilateral relations and deepen understanding between the two countries.